Happy New Year everyone! In the end I didn't manage to take any photos of the fireworks, we were too far away. 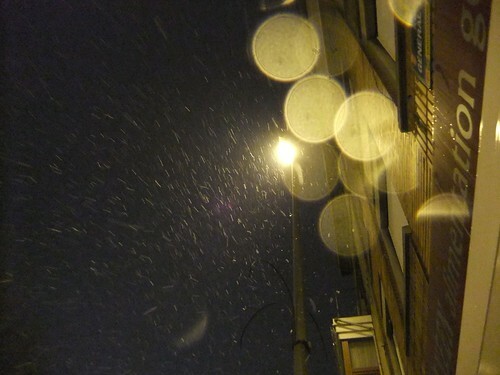 So here's a photo of the snow we walked through in order to get back home at 2am. It started snowing yesterday evening and hasn't stopped since. We missed out on the white Christmas but we're getting the White New Year! This is a fine shot filled with bubbles of light, a different sort of bubbly for New Year's Eve. Wishing you all the best that 2010 can provide. oh my you really worked! Happy New Year and I wish you many good photos in 2010!